Replace the batteries in the fire alarm and carbon monoxide detectors within your home. Check your pantry, fridge and medicine cabinet for expired products. To learn how to safely dispose of unused medicines, click here. Reset any appliances that may run on timers! You don’t want to brace the winter chill in the morning without a hot cup of coffee. Take the time to deep clean your oven in time for the upcoming holidays. Store any outdoor patio furniture or pillows that may get damaged during winter weather. Tackle any remaining fall maintenance tasks, such as clearing out the gutters, repairing broken roof shingles or cleaning out the fireplace. Clear out household hazardous waste from the garage including automotive fluids, pool or garden chemicals, expired batteries and paint products. To find a household hazardous waste collection near you, click here. Switch out any old furnace or A.C. filters. Check your emergency supplies. Do you have enough flashlight batteries or do you need to restock any band aids in your First Aid kit? 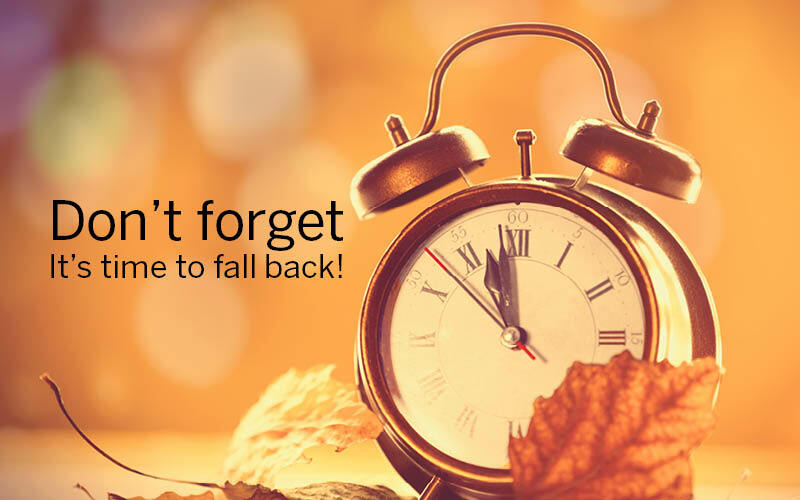 Last, but certainly not least, change the clocks! Including the clocks in your kitchen and car. ← If You Can Pay Off Your Mortgage Early, Should You?